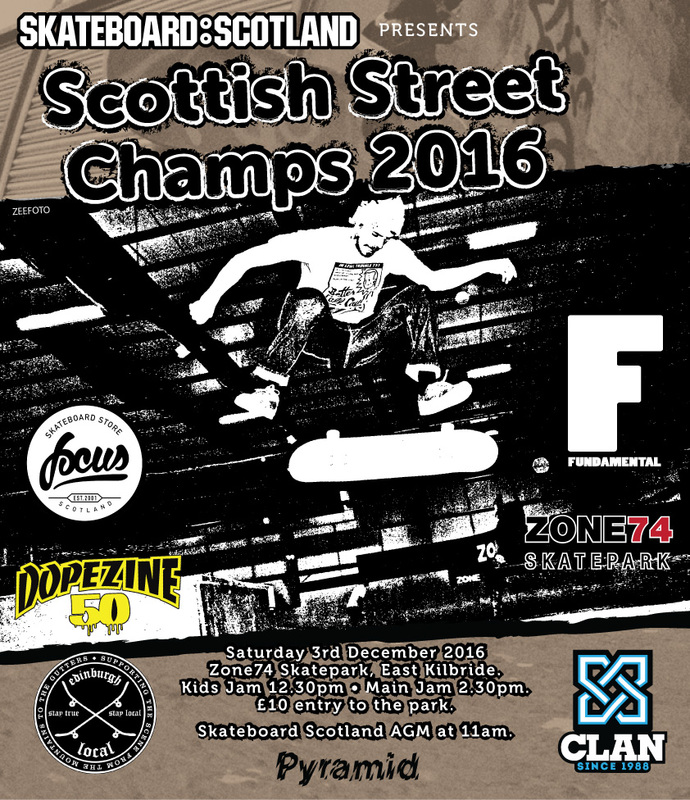 The 2016 Scottish Street Championships and the Skateboard Scotland AGM will be happening on Saturday the 3rd of December at Zone74 Skatepark in East Kilbride. The Skateboard Scotland AGM is at 11am and offers people the chance to meet the Skateboard Scotland committee and find out more about what Skateboard Scotland has been up to over the last twelve months. It should last about an hour and will include a summary of the past year, a summary of the accounts and the usual voting in of board members (Skateboarding in the Olympics is sure to be a topic of conversation too!). After the AGM the Kids Jam will open for registration at 12.30pm followed by the main Jam at 2.30pm. Entry to the park is £10 . 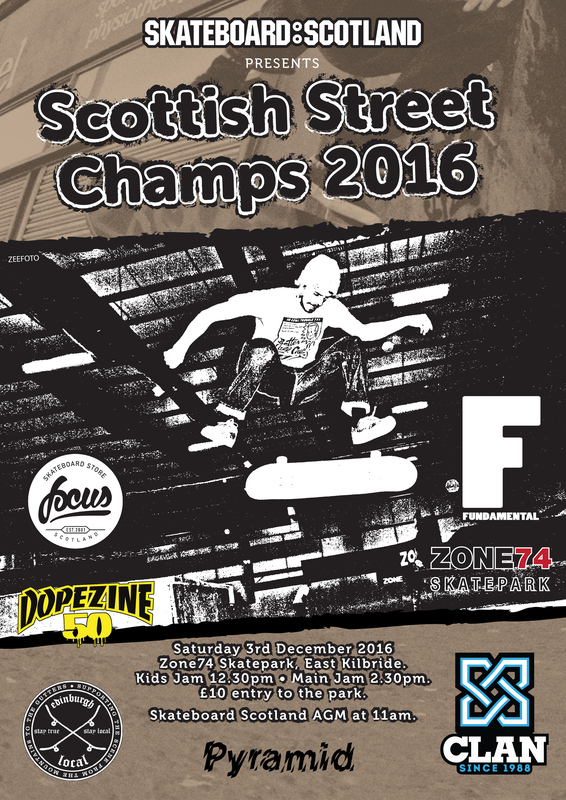 A big THANKS to the sponsors for the event Focus, Clan, Pyramid, Fundamental, Edinburgh Local and Dopezine. and to Zone74 Skatepark for hosting the champs and the AGM!